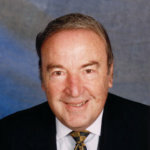 Dr. Grisanti is CEO and a founding member of the National Stem Cell Foundation, headquartered in Louisville, Kentucky. She holds a D.M.D. and MBA from the University of Louisville and has been actively involved in new venture start-ups for most of her career. 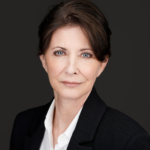 She has served on multiple community and advisory boards in Kentucky and is currently an officer of the International Women’s Forum (IWF) Kentucky Chapter, a member of the Executive Women’s Advisory Board to the Business School at the University of Louisville, the National MS Society Stem Cell Issue Team and the Jewish Family and Career Services Advisory Committee. She is an honorary board member of the Louisville Ballet, a recipient of the Outstanding Volunteer Fundraiser Award from the Association of Fundraising Professionals Greater Louisville Chapter, and was Business First’s 2018 Health Care Hero in the category of innovation. Dr. Grisanti has been an invited speaker, lecturer and panelist for organizations, universities, corporations and student groups and is a quoted resource for regional and national news organizations. She and her husband Michael have three grown sons. From 2003 to 2008, Mr. Cranor served as the President and Chief Executive Officer of the New College Foundation, affiliated with the New College of Florida in Sarasota. He also served on the New College of Florida Board of Trustees, as an appointee of former Governor Jeb Bush, from 2001-2007. During his tenure, the Foundation saw a growth in its endowment from $32 million to $42 million and generated $30 million of support for New College and its Foundation. 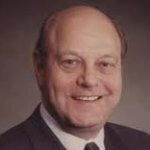 From 1996 to 1999, Mr. Cranor served as Chairman, President and Chief Executive Officer of Long John Silver’s Restaurants, Inc. From 1989 to 1994, Mr. Cranor was President and Chief Executive Officer of KFC Corporation. Mr. Cranor is the current board chair of Popeyes, Inc.
Mr. Grisanti is a private investor in Louisville, Kentucky and serves as advisor to a number of restaurant development companies. He has served as Chairman of the Board of the Louisville Convention and Visitors Bureau since 2006. 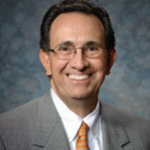 He was a delegate to the White House Conference on Small Business in 1980, Chairman of the National Restaurant Association in 1987, Chairman of the Food Service Management Professional (FMP) Governing Board in 1992, and Chairman of the Board of Trustees of the Education Foundation of the National Restaurant Association in 1993. Mr. Grisanti has also been inducted into Nation’s Restaurant News Fine Dining Hall of Fame and is a recipient of the prestigious Ivy Award from Restaurant & Institutions. He was named HRTM Alumnus of the Year by Denver University and was awarded an Honorary Doctoral Degree in Business Administration by Johnson & Wales University in 1988. He has also received the Alumni Association Award for Professional Achievement from Denver University and the Ben O’Connor Housing Award from New Directions Housing Corporation. Mr. Grisanti is a 1973 graduate of Denver University with a B.S. in Business Administration. Mr. Riggs is President Emeritus of The Community Foundation of Louisville, where he served as President and CEO from 1991 to 2008. Under his leadership, the Foundation’s asset base increased from $43 million to over $300 million. The Foundation granted over $27 million in fiscal year 2008. Mr. Riggs has been recognized nationally and internationally as a leader in the community foundation field. He served two terms on the board of the national Council on Foundations and two terms as national chair of the community foundation field. In 2005, he was one of five U.S. community foundation leaders appointed as a Fellow of the Transatlantic Community Foundation Fellowship, an exchange program created by a partnership of the King Baudouin Foundation of Belgium and the German Marshall Fund of the United States. Today, Mr. Riggs serves as Board Chair of the Felix E. Martin Jr. Foundation, a $50+million charitable foundation dedicated to the civic, cultural and educational needs of Muhlenberg County, Kentucky. Mr. Wolff serves as an Of Counsel member of the Washington, D.C. office of Manatt, Phelps & Phillips, a national law, consulting and public policy firm. His practice focuses on healthcare transactions including mergers, acquisitions and joint ventures, managed care, nonprofit institutions and healthcare regulatory matters, public policy and strategic planning. Mr. Wolff has been in private law practice in New York City and Washington, DC for over thirty years. He has extensive experience with both domestic and international corporate transactions representing institutional, group and individual providers, managed care companies, underwriters and venture capital investors, and others serving or financing elements of the healthcare sector. 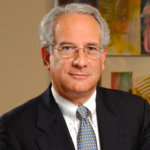 He also has a broad range of regulatory and compliance experience; has developed a number of ground-breaking for-profit/non-profit collaborations; has negotiated the health benefit plan coverage for various Fortune 500 companies; and has been deeply involved in various innovative public policy and strategic planning initiatives over the years. He has represented a number of educational institutions, technology-oriented entities, and a variety of non-profit organizations, including national public charities. Mr. Wolff previously served as Vice President and Senior Counsel for Health Operations at Aetna Life and Casualty, in charge of all legal, regulatory and state government affairs for Aetna’s health and group insurance businesses. He served on the Management Council of Aetna Health Plans, responsible for running Aetna’s health businesses, and on the Chairman’s Health Strategy Group, responsible for determining Aetna’s strategic direction in healthcare. Mr. Wolff was a Special Assistant to Secretary Joseph Califano at the U.S. Department of Health, Education and Welfare (HEW), where he was responsible for revitalizing the Federal HMO program and has served as Deputy Assistant Secretary for Legislation at HEW, where his responsibilities included the HEW budgetary process on Capitol Hill. Mr. Wolff has degrees from Amherst College (1965) and Harvard Law School (1968). Dr. Cohen attended the University of Pennsylvania and earned his D.D.S. from the University of Pennsylvania School of Dental Medicine in 1950. Following a research fellowship in pathology and periodontics at Beth Israel Hospital in Boston, he returned to Penn. Over the course of a 35-year career, he established the school’s department of periodontics and rose to the position of Dean. Dr. Cohen resigned the Deanship in 1983 and spent a year as the first Presidential Scholar at the University of California at San Francisco. After becoming President of the Medical College of Pennsylvania in 1986, Dr. Cohen led the institution’s affiliation with Allegheny Health Education and Research Foundation. In 1993, he became Chancellor of the Medical College of Pennsylvania.